While many recognize Alec Bradley as one of the premiere players in today's market, it wasn't until the introduction of their famed Tempus line that the brand really took off. This was the brand's first full-bodied offering, gaining attention from both consumers and critics alike'scoring an impressive 94 rating by Cigar Aficionado's Cigar Insider, as well as ranking in Cigar Aficionado's Top 25 Cigars of the Year awards in 2008. 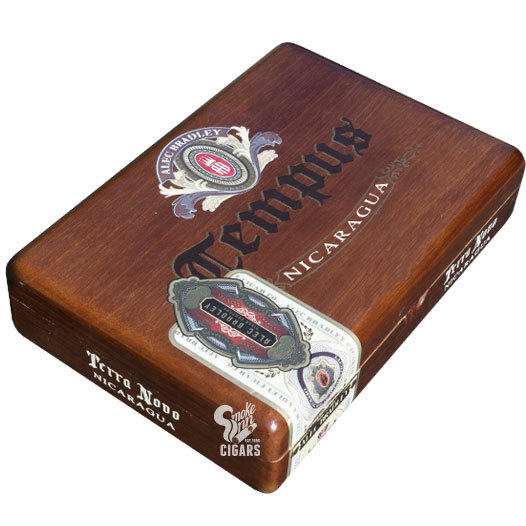 Now Alec Bradley has expanded the Tempus line to include the new Tempus Nicaragua, a blend that is comparable to the highly-rated Tempus, brimming with 100% Nicaraguan long-filler tobaccos! This cigar is one of only three Nicaraguan puro cigars in Alec Bradley's lineup, complete with a Jalapa wrapper, over a double binder, and fillers of Esteli, Condega, and Jalapa. Expect a full-flavored blast of everything Nicaragua has to offer'with rich notes of earth, chocolate, leather, and a good dose of spice!